Michael Howard is the CEO of MariaDB, one of the fastest growing open source database platforms in the world. MariaDB powers applications at companies like Google, Wikipedia, Verizon, Deutsche Bank, Telefónica and more. 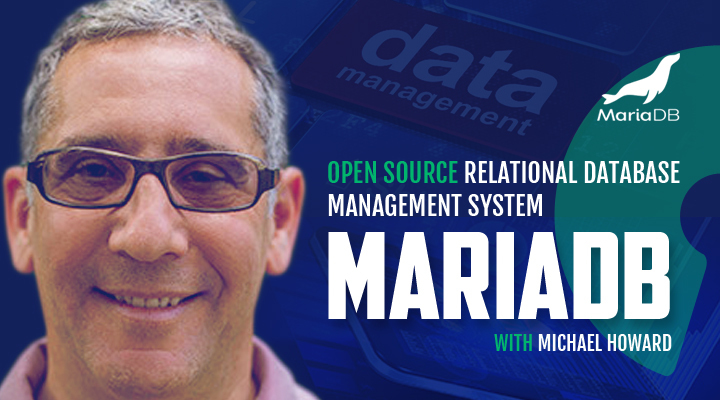 In this episode, Michael describes how the “Business Source License” enables MariaDB to monetize software and reap the benefits of an open source community and development methodology. Michael Schwartz: Welcome to Open Source Underdogs, the podcast where we bring you the wisdom of open source business leaders. Today my guest is Michael Howard, the CEO of MariaDB Corporation, the company behind the fastest-growing open source database in the world. MariaDB is used by more than 12 million developers worldwide and is the database of choice to power applications at companies like HP, ServiceNow, and Wikipedia. Michael, thank you for taking the time to join us today. Michael Schwartz: Why don’t we start the podcast with just a brief introduction of how you happen to join MariaDB and maybe a little history about MariaDB. Michael Howard: So MySQL was named after Monty Widenius’s daughter. Her name was My, something like that in Finnish or Swedish. And Maria is his second daughter. So that’s the naming convention here, it is through Monty’s daughters. And as a result of course, the group of engineers that build MySQL and MariaDB are very attached to their family. And when MySQL was initially bought by Sun, and then ultimately segwayed through to Oracle, there was a rift in the family. And in about 2009 there was a fork of the MySQL project and that fork became MariaDB. And then some years later in 2013 MariaDB amalgamated, or put together, all the different aspects of the programming group the foundation, a support organization called SkySQL and in late 2013 that’s the MariaDB Corporation as you know it now. Michael Schwartz: How did Michael Howard end up joining MariaDB? Michael Howard: Michael Howard in the late, all through the 90s and late 90s was a disbeliever of MySQL and anything open source. So that’s the origin of my story, in that, I could never imagine a group of programmers building a general-purpose database that would be able to tolerate an accommodate and support the primary functions of a business. And I truly believed that the only way that that could be done is assembling very straightforward proprietary approach and let’s say it, my PhD thesis of that came when I joined Oracle in the 90s, and that’s what I believed. But then as the world changed, and this is after 2000, you could see that the world was dividing. There were a couple of important signs of that and that was the Hadoop or HTFS world coming to play. 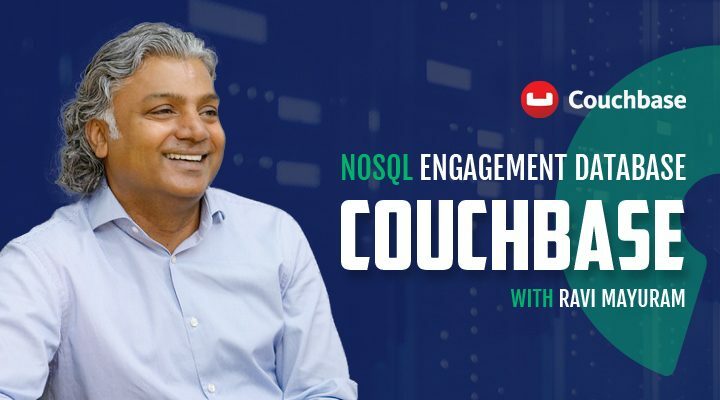 It was the NoSQL databases coming into play starting with the caching layer. And my view changed along with that new ark of software. So I knew the guys at MySQL and MariaDB for many years, didn’t think that they could bring themselves forward into true OLTP enterprise fortitude workloads. But the world has changed. And I changed with it. Michael Schwartz: OLTP – Online Transaction Processing? Michael Howard: Yeah, you got it. Should have said that, but yes. Michael Schwartz: So tell me a little bit about today. Who are the customers of MariaDB? 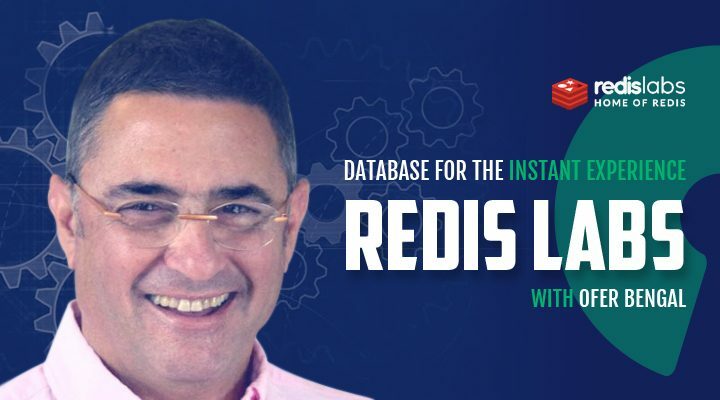 Michael Howard: Almost every company in the world now is touching MariaDB in some kind of way, in that we have displaced MySQL as the viable default relational database in all the Linux distributions. So even mom-and-pop shops that use Linux automatically have access to MariaDB, we have an addition that goes in those Linux distributions. Somewhere between 12 and 60 million customers are touching MariaDB today through this unique distribution. And this is by the way one of the unique things about open source, that your ability to propagate and touch people across the world is enormous. But that’s how it’s happening with the Linux distributions, and so to with the clouds in that, since it’s a default mechanism in Linux suddenly becomes a default mechanism in many clouds. So we span from small shops that you’ve never heard of to the Fortune 10. You could look at things like AT&T, Verizon, Barclays, New York Mellon Bank, Development Bank of Singapore, Alibaba, ServiceNow, I mean it just goes from the most consequential companies in the world, even running airports. It’s quite remarkable. Michael Schwartz: Just to drill down a little bit. Is there an 80/20 rule? Who are the most important customers in terms of Revenue? Michael Howard: That’s a matter of opinion, how you do the 80/20 on that. Because one of the problems that, let’s say the Hadoop family has via Cloudera or Hortonworks, is that Hadoop has become kind of part of the 1%, not big part of the 99%. And for me coming from proprietary areas you don’t want to relegate a company like MariaDB to the top 1% or 10%. Therefore saying that your top 10% or biggest customers are the most important because here we want, and I’m going to use the word extremely, an extremely well-rounded business model. So for example, in our world about 40% of our transactions on a quarterly basis comes from mom-and-pop shops. They don’t really think too hard about databases, but they kind of go with what’s easy for them to include as part of their environment. Then there’s another 40 odd percent where they’re making more strategic decisions but it’s still appended to a mentality of, for example replacing MySQL. And then if we use those percentages there, there’s another 10 to 15% which is big time, and literally replacing out the likes of DB2, SQL server or Oracle itself. And so I guess you could apply the 80/20 rule in each of those categories, or sale segmentations. But you couldn’t come up with an 80/20 rule across the board. So there is sale segmentation, if you look at our documentation for example, it’s free. So anybody who doesn’t have a support contract can use a magnificent amount of content. But if someone has a production application and they need some sort of identification that’s a different level of interaction with the company. We can’t talk to all customers, it’s impossible. It’s a challenge that cannot be overcome by people. If you look at it from let’s say, a business perspective like margins and productivity per person, there has to be more automation. There has to be more automation in terms of buying contracts or buying things through eCommerce. We even have to have easier ways where people can instantiate and test out new features instead of going it on their own, so we’ll do some things in the cloud to facilitate that. So there’s many levels of interaction that must take place. But I think what we need to do to improve, really big time, I mean we have some major steps to make to be able to handle the numbers that we’re talking about, and we’re not doing that right now. You know you look at some of the big players like Amazon or Netflix or whatever, they are doing it. So that’s the funny thing we’re a small company, under 200 people but we have the same level of interactions as the cloud platforms do. Because, and sometimes even more, because MariaDB is on all those clouds. It’s a fixture there, so it kind of gets multiplied many times. Michael Schwartz: What are the most important revenue streams? Is it license? Is it support? Michael Howard: Well for me coming from the proprietary world and the SaaS cloud, I’m very formalistic about this. So the most important from a just formalistic point of view is ARR, Annual Recurring Revenue, on a quarterly basis the amount of new annual contract revenue. Things like TCV which is equivalent to bookings are less important to me, more important for let’s say my CFO who wants to make sure we have a certain amount of cash in our bank accounts. So the most important thing is ARR, that’s the first level. Second level is what does that ARR constitute. And again coming from where I came from, where the multipliers on services and manpower support is not as powerful, not as valuable to, let’s say listing the product at NASDAQ or having some big liquidity event in the future, the most potent value is product; license on product. And that becomes a very interesting and almost somewhat contradictory or paradoxical conversation when it regards open source. So our subscriptions are the most important part, and those subscriptions come with many facets. It comes with technology that cannot be procured or accessed in a general sense by just the Community Edition. We save some stuff that’s private. It may or may not be licensed under something that we came up with which we believe in, very much not only for MariaDB, but for open source entrepreneurs world over, and that’s something called the business source license, which we should probably talk about. So you have technology. You have things that are not necessarily available through the Community Edition. You have legal protections, I named one, in some cases limited indemnification issues come up in especially regulated industries for production applications. Then of course you have the typical element which is, a typical element of open source which is support. So that’s how we make money. Our revenue come solely from our subscriptions which has a spectrum of things in it to make it valuable. Michael Schwartz: There’s a saying called the open source dilemma where customers only renew support contracts when they need help, when they have problems. How do you get customers to renew and retain them to get that revenue to be actually recurring? Michael Howard: Right, there’s a… It’s an interesting topic because the good and the bad of open source is that it compels the engineer or the firm to build new things. So for example, in our latest release we have temporal processing, inversion tables, very sophisticated ways of supporting governance applications. This is a very very, it’s a multi-dimensional data object, being able to be joined with a million other multidimensional data objects, the math is extraordinary; be able to do that in an optimized way. When you put out features like that and you continually do so, you will compel, behoove, motivate very easily customers to continue with their contracts. So the virtuous cycle is inherent in your ability to innovate. Michael Schwartz: Changing topics a little bit. Are there Partners who help you get MariaDB out there, or that you rely on for success? What is the channel? Michael Howard: We do have channel partners but it’s not as mature as, let’s say older firms. I think we’re just at the very beginning of it. And channel partners can come from an enormous number of different areas, for example it could be a cloud vendor that is actually a channel partner, right. Being able to serve a certain constituency, as you put it, through their Cloud. It could be your typical channel partner that has some kind of ecosystem, could be that. The one that comes to mind, just kind of new, both I think for the world and for us is you take something like ServiceNow, where they’re serving 40% of the Fortune 2000. And many of those companies don’t even know that MariaDB is the engine behind every single workflow that is going on in those companies, which is quite extraordinary. 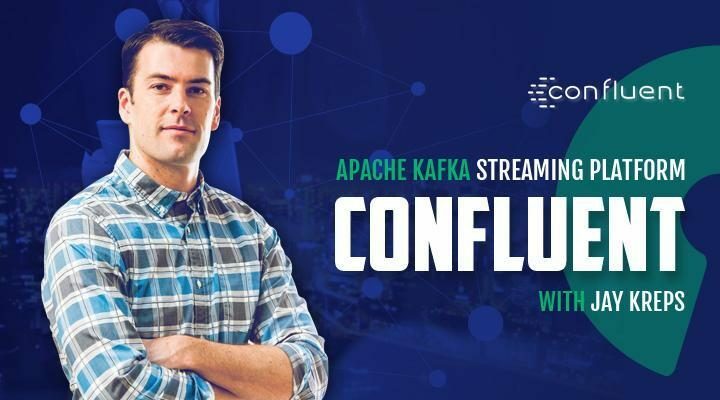 But in some cases they need to have on-prem support from us and so suddenly you have the world of cloud interacting with the world of on-premise and that becomes a channel play that you would have never envisioned before. Michael Schwartz: Why do people use MariaDB? Michael Howard: I’ll give you an example. Let’s say you’re a big company and have a huge server farm, and you want to start looking into ARM as your chip bases. You’re not going to be able to use a process space database on an ARM chip, it just won’t be economical. Maria happens to be thread-based and the pooling resources for threads on ARM is as good as typical non-ARM chips. So it could be that you are trying to have more compact space for your server farms, less real estate, less use of electricity, less heat. It could be that you realize after 20 years that you’re paying 60 times more than you should for basic SQL standards. It could be that the basic philosophy of the company that you’re using is so out of touch with what a modern system is that you want to move forward with your own stack. There’s an extraordinary number of reasons. I mean the the primary one is that when you go into MariaDB you’re not only partnering with one of the best engineering firms in the world. You’re partnering with other great engineering firms in the world that are contributing to the MariaDB kernel. And you know that MariaDB will never be out of touch because of the extraordinary open source community that is contributing to it and there is no equivalent. At Oracle everything goes through Larry; he is the Editor in Chief of Oracle. Here you have a much more diverse set of curators. Michael Schwartz: One of the things I wanted to ask you about was the MariaDB Foundation. It’s the ideal of a lot of Open Source projects. Maybe you could talk a little bit about how that came about and what their role is. Michael Howard: So the way I look at the foundation is they are the steward of the project’s repository. And they are the ones that teach people how to contribute to that repository. Allowing freedom and equality for creativity, innovation through code, persisted in repository that is formalized under the foundation. And they’re advocacy to developers to help with that, their outreach to Linux distros. That’s the kernel of what they do. Michael Schwartz: Where’s the line between the company and the foundation in terms of a decisions? Michael Howard: Well I mean, there are simple lines, I’ll start with the simple ones. They don’t do any support, you can’t go to the foundation and say I have a problem with something or bug, they won’t, they don’t have anything to do with that. That’s where the corporation comes in. If there is a hot patch that needs to be applied because of a security issue, they’re not, they don’t act in that manner, they don’t respond that way; the corporation can. Obviously you can’t get any legal privileges through the foundation. Let’s say you have a big idea that you want to put into the project, but it’s maybe a little bit over your head to really do it in the right way. You know just because there’s an open repository doesn’t mean that you can willy-nilly put something in there that’s mediocre. But there are certain projects, I’ll give you an example: The Development Bank of Singapore wanted MariaDB to have a PL/SQL Oracle compatibility layer. That’s an extraordinary difficult project and could never be done themselves. And that’s when you enlist, for example, our engineers in the corporation. Michael Schwartz: So not to put you on the spot..
Michael Howard: You have so many times already! Michael Schwartz: But nonprofits always involve politics and so how do you feel about how has it gone? Michael Howard: I think it has pros and cons. I don’t think it’s a clean deal by any means. I think that when you have independent entities they each have their own egos and they each have their own aspirations to spread their own wings. You know it’s just like when two people are discussing a subject, each one of them kind of wants to have their opinion supersede the other. So it’s part of humanity to have that innate conflict but also innate need to work together. Michael Schwartz: You mentioned license before, and I didn’t want to make this podcast a deep dive on license because you could probably do a podcast by itself just on the licensing part. But you did mention the business source license. Maybe you could talk a little bit about what is the business source license and how does it relate to the other licenses perhaps at some of the other products or offerings come under? Michael Howard: I’m going to start in a strange fashion on this narrative and that is: When I announced business source license I should’ve had a set of security guards from the open source community. I wasn’t sure what might happen to me. Because it was disagreeable to them in some emotional ways in that, there are a lot of people out there that are pure open source zealots, and it’s an ideology like any political or kind of religion that can get the best of certain people. But I felt that the company needed to be able to have as much financial resources as possible to make our products great. And since we were stepping into the enterprise zone, which meant that we had to simulate or actually replicate many things that SQL Server via Microsoft or Oracle through Oracle does for their customers. And financial resources are extremely important to do that. And database features as you know, it’s not like a SaaS application. Sometimes it takes many years to build one feature and those people are dedicated, like the version tables in the temporal processing that I mentioned, that was a very difficult feature, it took us years. So how do you reconcile the world of free and the world of financial resources? How does an entrepreneur like yourself go to a VC and expect any funding if there is no business model. And at the same time if your whole company pivots off open source, again how do you do this? After some deep thought the business source license seemed to be the best balance that I could find. And what it is, is essentially very simply postponed open source. You get one of our products that uses the business source license, and for a certain set of time that particular version you pay for. But at a certain point in time let’s say 36 months later it becomes open source. You can self support, you can do anything you want to it, and you’re not dependent on the corporation. So it’s just trying to bootstrap product so it can meet the expectations, especially when these expectations have been built over 20 years with many billions of dollars. Michael Schwartz: Sort of like a patent that expires, maybe. Michael Howard: Yeah. That expires, that’s a good one. Except I guess the deviation would be that even though the patent in this case is on for that amount of time, you can look at the code, it’s completely transparent just like open source. Go to repository, our repository, it’s on GitHub, look at branch, you see it, you can contribute to it, you can do all those things. There’s even certain times when the license says you can use it for free, you know that kind of thing. But, if you going to into like a production mode, and this is the case with a MaxScale, our database proxy. If you have many nodes that you’re serving with this proxy – you got to pay for it at some point. But that version will under the file name go GPL at a specific date. Michael Schwartz: What are your thoughts on enforcement? Is it on the honor system? Michael Howard: So, right now it’s honor system. I think we’ll have to do some kind of home calls at some point and identifiers. So there are times when certain customers try to take advantage. Where they’ll buy let’s say one or two copies of the paid version, but really the problem is emanating from thousands of free things that they’re using. So right now it’s the honor system. There’s been some transgressions that I’ve seen. And of course the bigger the company you go to the less transgressions there happens to be. It’s more in the lower end where I see abuse. Michael Schwartz: Any advice for entrepreneurs who are starting, who want to use open source as part of their business? Michael Howard: So my advice is: It depends on what part of the stack you are. So if you are in infrastructure you have no choice but to be somewhat commodity based or open source based. I don’t really believe that security for example has to be open source. I see, you know I have a little security background. So listening to you, there was no reason to make, let’s say FireEye, open source. Just no reason, no one would expect it. I think it’s interesting that you guys have gone in that area a little bit but the key management systems that I work with I never expect them to be open source. On the SaaS level, you know you have one interesting juxtaposition between SugarCRM in Salesforce right. Has Sugar really gotten major benefit from its open source disposition? You know I think what’s happened is the proprietary vendors have milked the industry so badly, that the time came when that practice had to stop. And MariaDB is sort of a symbol of that arrest. Michael Schwartz: If you’re an entrepreneur, you’re saying if it’s infrastructure you should go open source. Michael Howard: You don’t have a choice anymore. Michael Schwartz: You have to, okay, that’s interesting. Michael Howard: You really don’t. I mean you know, you have Intel maybe coming up with a chipset that’s not open source or their 3D XPoint, you know, that’s not open source. But if you look at, you know let’s say a no more commodity-based analogs to that; they’re going to end up winning. I mean Intel will lose again because they’re charging too much. So infrastructure I don’t think there’s a choice. Michael Schwartz: Any thoughts about how do you stay true to the open source mission that maybe has helped build the culture around the company, and still fund the company, or build a business? Michael Howard: Well, I think you see with very few exceptions VC’s funding open source companies. I think the market has already made that decision. I mean there’s just no comparison between the funding percentages for open source versus lets say closed. There’s just no comparison. So I think the decision has already been made. So then the question is if you have an idea at store at a storage software level, let’s say, or a container, you have no choice to be open source. So then there are two things that come to mind. One is, you have to employ something like business source license and that’s the only way you’re going to get funded when you are presenting to a venture capitalist. You have to have some way of bootstrapping your company with some revenue, a support meal ticket just does not make sense from a margin perspective, or the multipliers that VC’s are expecting in a liquidity event. So it’s dead on arrival if you go that way. So it’s very simple you can’t just go open source, you have to have a business model behind it that makes sense. There’s only a couple ways you can do that. Michael Schwartz: Thank you so much Michael for sharing your wisdom and best of luck to MariaDB. Michael Howard: And to you too at Gluu. Special thanks to the Linux Journal for co-sponsoring this podcast, to The All Things Open Conference for helping us publicize the launch. Music from Broke for Free, by Chris Zabriskie and Lee Rosevere. Production assistance from Natalie Lowe. operational support from William Lowe. Thanks for the Staff of MariaDB for logistical support. Next week we’ll talk to one of the youngest startups in our series – Ian Tien, CEO and Founder of Mattermost, one of the leading chat and communication platforms.